Attention all drivers, and welcome to Rochester Toyota! We are located at 48 Farmington Rd, Rochester, NH and proudly serve the Somersworth, Sanford, Barrington, and Strafford areas! We are a family owned Toyota dealership with many years of experience serving our loyal customers. Our goal is to ensure that you have an enjoyable shopping trip and can drive away with a vehicle that you are proud of. Our professional sales staff invites you to stop into our Rochester location at your earliest convenience to browse through our expansive inventory of new Toyota options today. 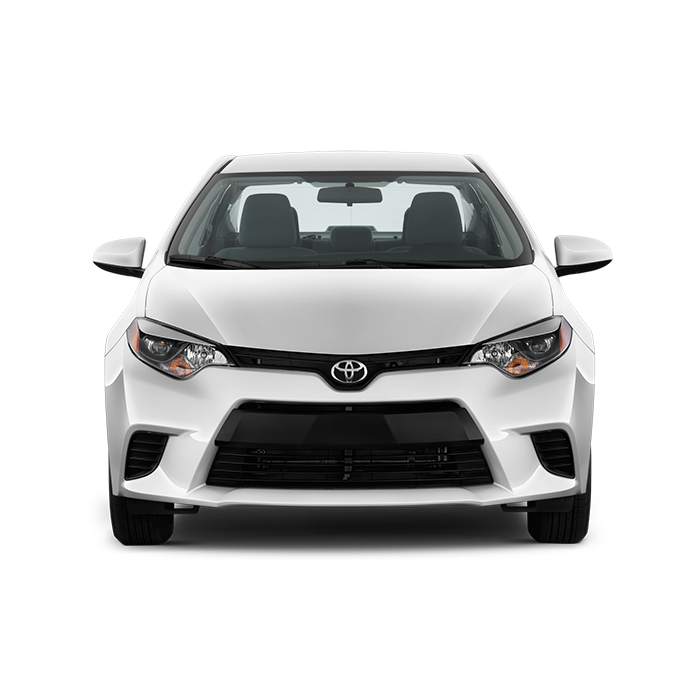 If you have recently thought about upgrading your vehicle to a modern sedan, we highly suggest you come and see the 2016 Toyota Corolla. We guarantee you will fall in love with all of the great amenities this vehicle has to offer, so schedule a test drive and experience the joys of owning a new car today! 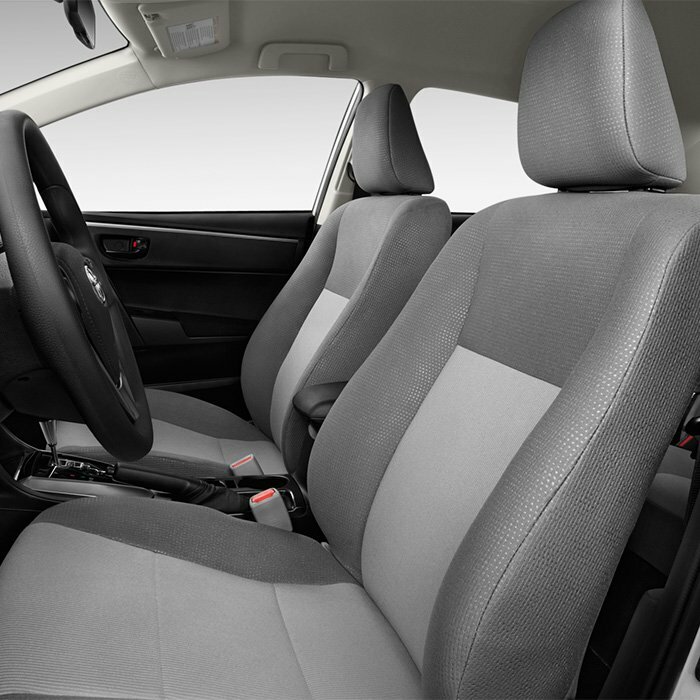 When you are seated in the driver’s seat of the new Toyota Corolla, you will be pleasantly surprised to see the ample amount of modern amenities. In front of the cabin, the fluidic dashboard combines smooth lines with solid black accents to create a dynamic appearance. With room for five passengers, your family can sit back and relax with spacious first and second-row seating, and 60/40 split rear seats for storing cargo. The 2016 Corolla gives you enough trunk space so you can haul all of your valuable items without crowding up the interior cabin. If you enjoy the sporty aspects of a car, you will love the Sport Mode and available sport button located on the console of the Corolla S. Even your driving position can change with athletic-built seats to keep you comfortable. 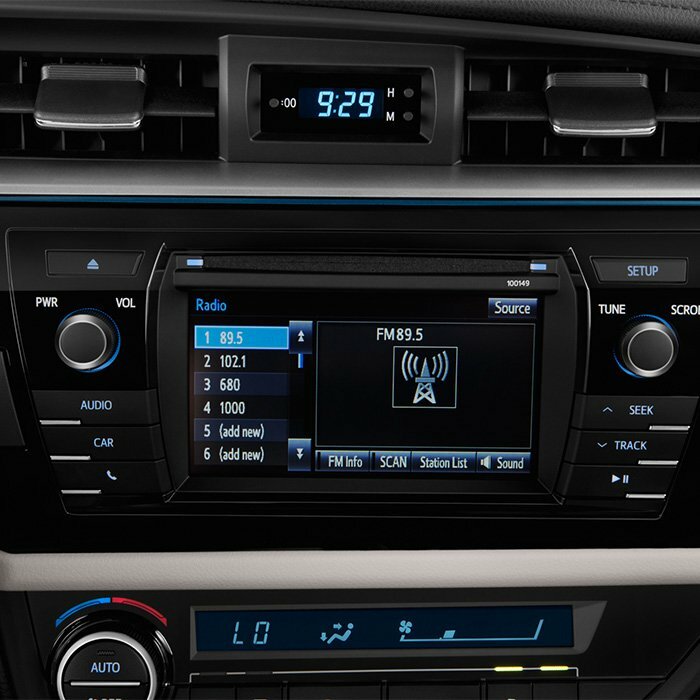 Always stay connected inside the 2016 Toyota Corolla with modern technology systems in place. Utilize the premium audio options with Integrated Navigation and App Suite. Your 6.1-inch touchscreen display will give you access to your apps that are wirelessly connected from your mobile device. As the driver, you can also access your backup camera with a clear image of what is located behind the vehicle when you are in reverse. Keep your hands on the wheel and eyes on the road with steering wheel controls that change the music and activate voice recognition. Just press the button, and let the Toyota Corolla make phone calls and answer to your demands with ease. Your passengers will enjoy the available USB port that can be used with your electronic devices to keep your battery charged during every road trip. Every time you enter your new Toyota Corolla, we want you to feel safe and secure. 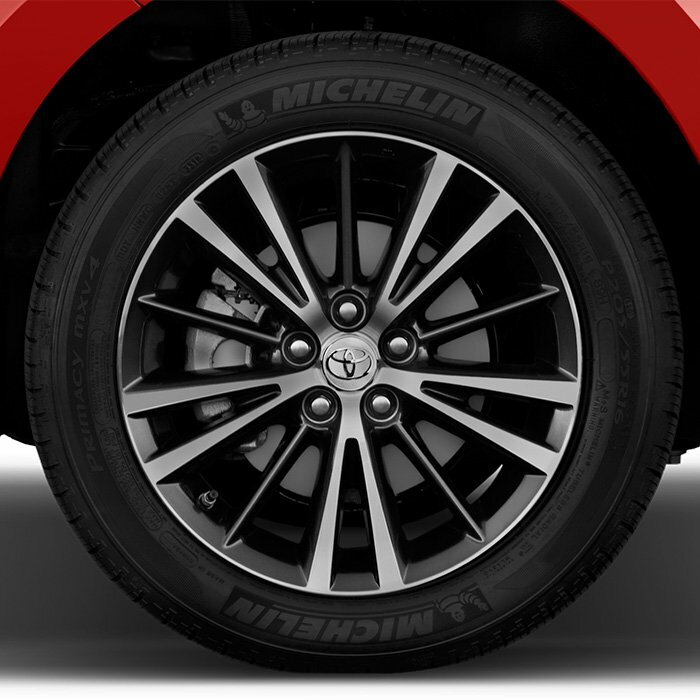 Rest assured this sedan is filled with modern safety features to give you more confidence on your adventures. Eight standard airbags surround the vehicle, in addition to an advanced integration of active safety technologies. We encourage you to visit our Rochester, NH dealership to see how the Toyota Corolla can change the way you drive. For more safety specifications and performance features, visit Kelley Blue Book today! Thank you for choosing Rochester Toyota and allowing us to be your premier Toyota dealership in the Somersworth, Sanford, Barrington, and Strafford locations. We hope that you are interested in the new Toyota Corolla, and we invite you to stop in for a test drive. If you have any questions regarding our new inventory, please do not hesitate to contact our sales team at (844) 306-5941. We are thrilled to present you with our entire showroom and hope that we can hand you the keys to a new Toyota Corolla at the end of your visit. We appreciate your patronage and hope to see you soon!